Easter comes early this year, and I guess it kind of snuck up on me, because I’m not sure yet what my plans are this weekend. I’ve been busy getting ready for the Boston Marathon (more on that next week! ), but here’s a recipe I was thinking about making for Easter dinner. 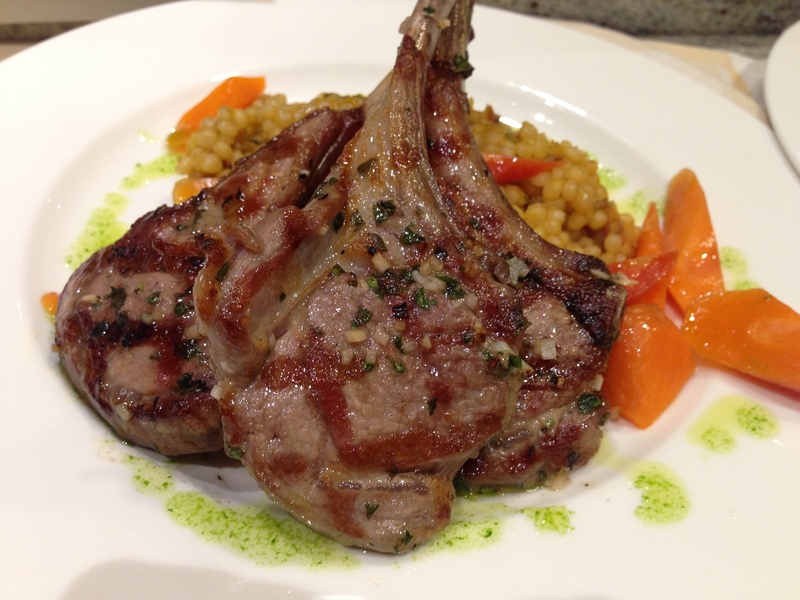 It’s one I recently prepared for a client’s 60th birthday dinner party: Grilled Lamb Chops.